ATTACK OF LITERACY! Reprinted Again! 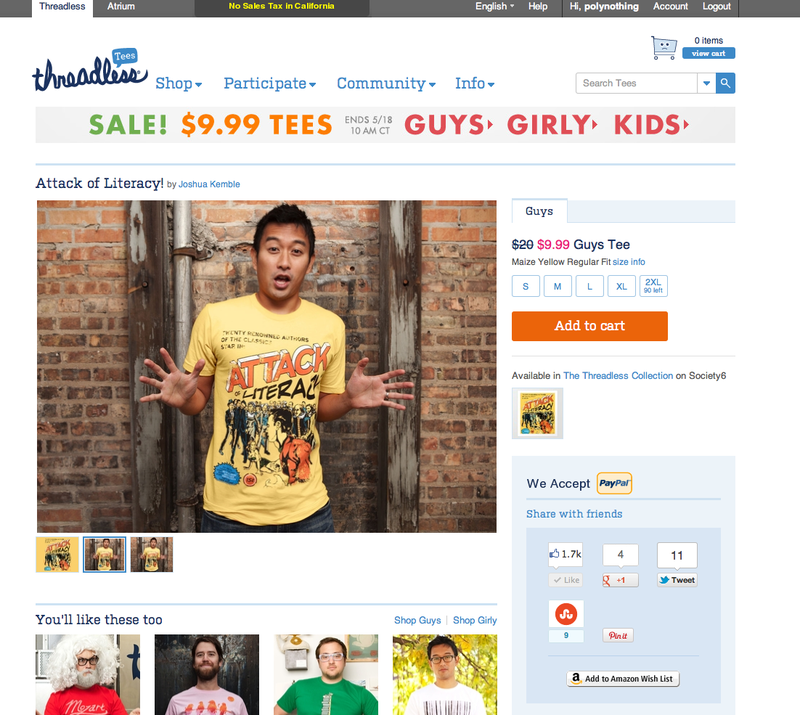 One of the more popular shirt designs I’ve created “Attack of Literacy!” has been reprinted again at Threadless, and is on sale for a whopping low $9.99. I will have more updates soon. I’m hoping to post a bit of progress to my graduate project, once I’ve got time to either photograph or scan the pages.